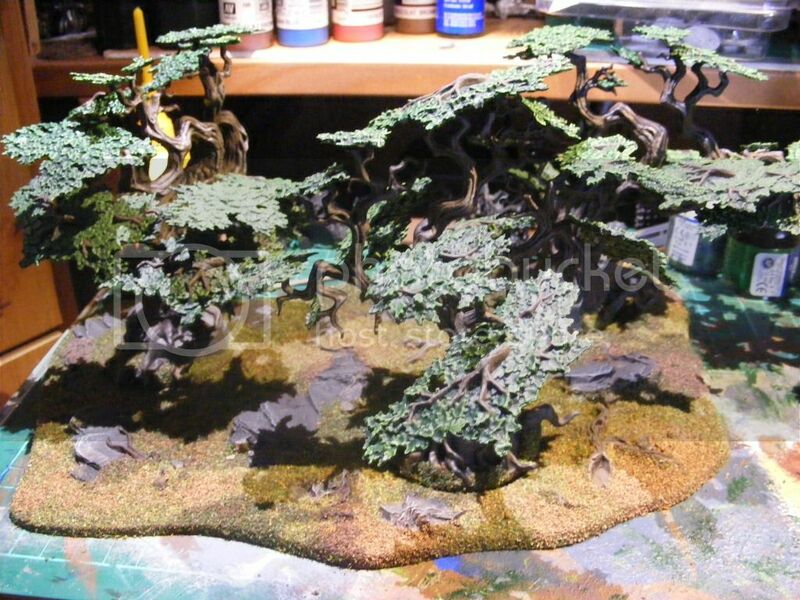 Trees - Citadel Woods for use with historical games? 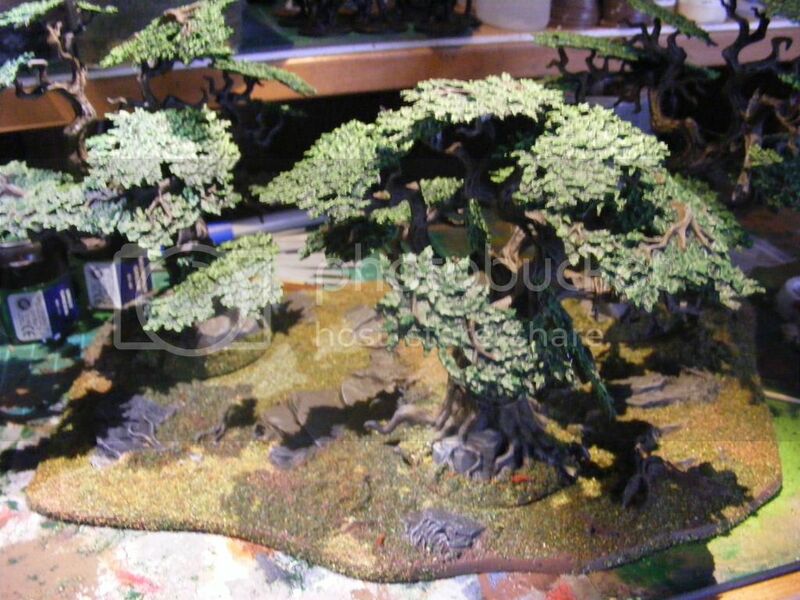 Whilst rummaging through the cupboards the other day I came across the sprues to make up two examples of the Citadel Woods. So I spent some time painting them and a lot more time covering up all signs of the incredible number of skulls that Games Workshop feel the need to put everywhere. They're pretty much finished now but I'm not sure whether or not they would be suitable for historical games or 1938 VBCW. Any thoughts chaps?